Varun was taken aback. When had he said that? Had he even said that? He knew better by now than to ask Asha what this was in reference too. That would only make her mad and earn him a lecture on how he never paid any attention to what she said. It did not matter that her current train of thought was delayed by a few weeks. He thought back to all of their conversations over the past few weeks trying to remember where this thought was coming from. He looked at the tangle of headphones in his hand. How did it get so entangled in the blink of an eye! He held one of the headphone buds and began to pass it back on itself hoping to untangle it a little. Most of this week they had spoken about Indian politics and their opinions on the current government, so he couldn’t have said it this week. The week before Asha had claimed that he had gotten angry at her and had in turn gotten angry at him and they had ended up not speaking much. The week before that, they had gone out for lunch. They had spoken about relationships then, had he said something then? Varun passed the headphone bud through a loop but he was not sure if he was untangling it or entangling it further. It had been a normal conversation and Asha had not given any indication that she was pissed at anything he had said. Varun had noticed a couple on the opposite table, the man was short, fat balding businessman who was on his phone throughout lunch and the woman was a tall, fashionista who looked bored while she eat her salad. Varun had simply said he did not understand how some people ended up with each other, or why they stayed with each other. Was Asha still thinking about that? “That is not what I said. I said I don’t know how some couples end up together. I said nothing about them being in each others leagues…” he messaged back. “Flattery will not get you anywhere…be honest!” came Asha’s prompt reply. Varun sighed and put down his still tangled headphones. This needed a string of reassuring messages, he felt. He typed them out as well as he could. Until Asha replied back with, “Hmm…Ok…”. This generally meant she was reassured enough. Varun passed the headphone bud through one last loop and it untangled completely. He sighed and put down the headphones carefully. He went into the kitchen to make himself some coffee. Varun sighed and replied, “No I am not angry, I just went to make a cup of coffee…” He picked up the headphones and began to untangle them again. “I am very sure I am not angry with you.” Varun replied while try to unknot a particularly tricky knot. He wondered if he should just throw the headphones away, but he did not want to be a man who did not untangle his tangles, so he persisted. “Because you remember what happened last week right, ‘the temper tantrum’?” Asha messaged. Varun paused and took a deep breath. He hated that term ‘temper tantrum’ as if he had wailed at the top of his lungs while asking her to buy him some candy. That was not what had happened. He had been moody because they were stuck in traffic and she had asked if he was angry. He had replied that he was not. But she had continued asking him various iterations of the same question, until he had grown angry at her! She had teared up and cried about how he never shared his feelings and how he had problems managing his temper. He had had to tell her forced jokes all the way back to convince her he was not angry anymore. His hands trembled as he passed the headphone wires through each other. “Lol, I do remember that! Don’t worry, its nothing like that, I was just making coffee!” he replied with two smileys added for extra measure. “Hmm..Ok…” came the reply. He had managed to untangle the headphones again. But his coffee had grown cold. He put down the headphones carefully and went to the kitchen to warm his coffee. Varun returned to his laptop with the same cup of coffee, to find messages from Asha and surprise surprise, the headphone wires tangled again! “You have got to be kidding me!” he shouted to his empty room. How was this even possible? He glared at the freshly tangled mess of headphone wires. Then he read Asha’s message. “Well, yes I didn’t believe the new government, but they have been doing some good work. So I have shifted my position a bit, but this is just the first year…let’s see how well they do for rest of the term.” He replied. He picked up the headphone wires and began to fiddle with them again. “It’s not that, it’s that you changed your position on an important ideological issue. It is very telling about you. Will you change your views about important issues in life too? What about marriage and fidelity? Can you ‘shifted my position a bit’ on those too? Varun stared at the tangled mess in his hands. What was he doing? How many times was he going to untangle this mess? He realized that somethings in life, like headphone wires, tend towards chaos and entropy. 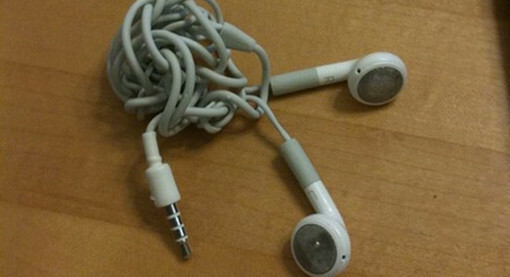 No matter how hard you try to keep these things straight, they will end up in a tangled mess. He sighed in relief, “You were right, we are not meant for each other, and it’s not me it’s you.” he messaged Asha. He put down the tangled headphones and got a pair of scissors. He held the tangled mess and gave it one snip with the scissors. The wires fell to the ground, straightened and unable to entangle again. There was a deluge of messages from Asha, but he did not check them just yet. He went online and ordered a pair of wireless headphones.